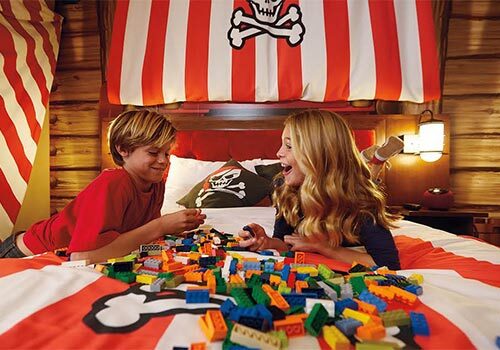 Keep the LEGO® fun going by reserving your room at LEGOLAND® California Hotel! This LEGO® themed hotel is filled with excitement. 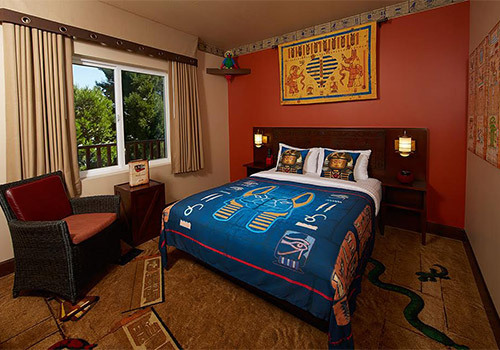 Guests enjoy themed rooms, an extensive list of amenities, and quick and convenient access to the theme park. Plus, all guests enjoy early access to the theme park — meaning you can skip the lines and ride all of your favorite rides before the park opens! 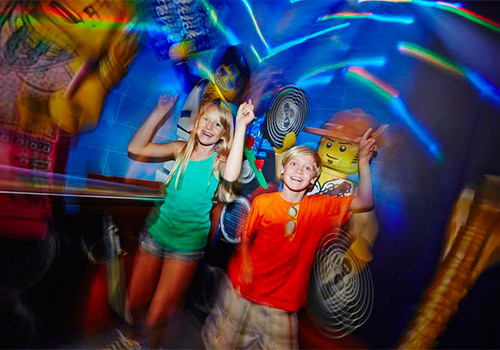 Treat your family to the ultimate LEGO® experience – a day at LEGOLAND® California and a night at LEGOLAND® Hotel! 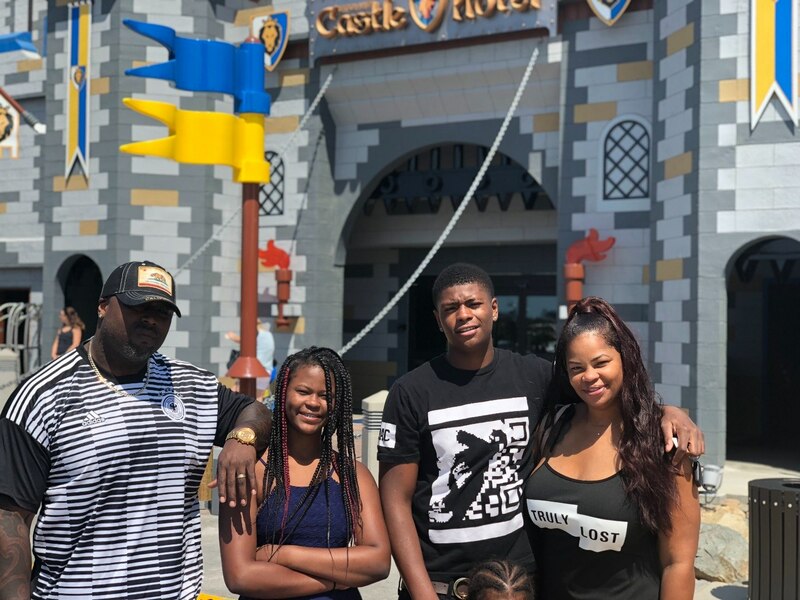 Located right at the main entrance of LEGOLAND® California, a stay at LEGOLAND® Hotel will turn a day you’ll always remember into a night you’ll never forget! 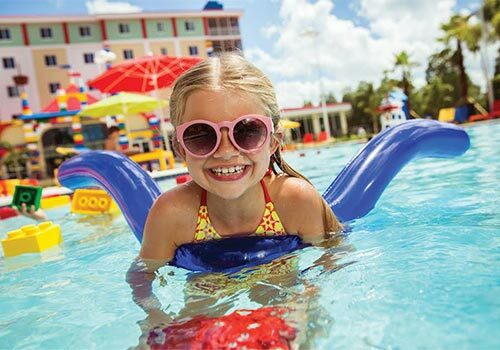 From the moment you arrive at the spectacular dragon-guarded entrance, you’ll be delighted by interactive LEGO® features, themed play areas, family pool and nightly children’s entertainment. 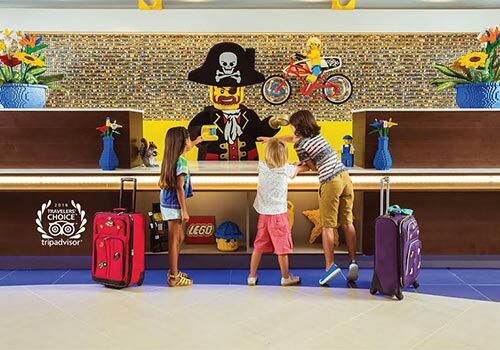 All 250 guest rooms are LEGO® themed – Pirate, Kingdom or Adventure. 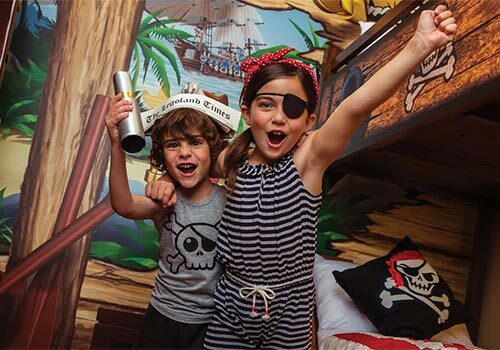 Rooms include two separate sleeping areas, with a king-size bed for grown-ups, and a separate area for up to three little ones, complete with a bunk bed, pull-out trundle bed and their very own TV! 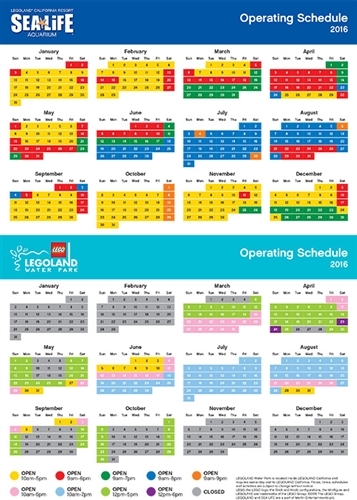 Please note that LEGOLAND® California is closed select Tuesdays and Wednesdays between September and February. 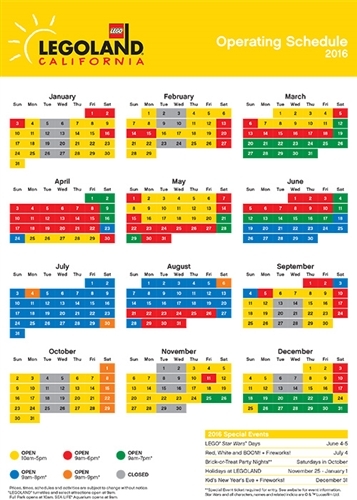 Please check the operating calendar located in the image gallery for specific operating days and times. "The hotel was just what we were hoping for"
The hotel had themed rooms that the kids really liked. The treasure chest with a small lego was also nice. The pool was nice and the breakfast buffet was awesome. They were also very good about asking about food allergies. The kids liked that there were legos to play with in the lobby. Tip: They do not have self service laundry. Legoland is just outside the door. 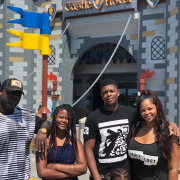 The hotel was beyond my expectations, it was perfect for all three of my kids they vary in ages from 17 to 4. We spent my 4 year olds birthday here and it was amazing, I’ve never seen him so happy. Tip: Bring plenty of sunscreen and good walking shoes and be ready for lots of discovery! We got assigned to the Castle Hotel. It was great. Staff is very helpful and professional. After we told them we got 3 kids on the first day, they started putting 3 sets of goodies for the kids daily instead of 2. The kids room is a bit small compared to the counterpart in the Legoland Hotel next door. The only issue we have is that the bed is too soft for us. It would be great if they can put firmer mattress. Tip: Towels are provided by the swimming pool so you don't need to prepare. 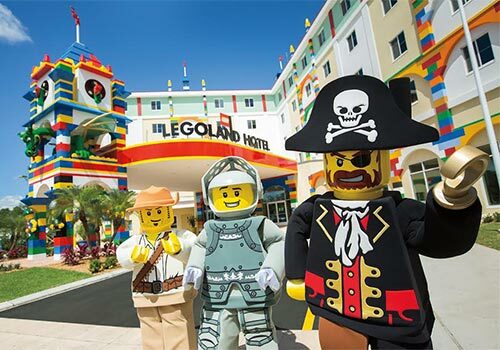 "We had a wonderful at the Legoland Hotel!" The hotel was so accommodating and our granddaughters went wild over it. We all had a great time and the accomodations and staff were fabulous! 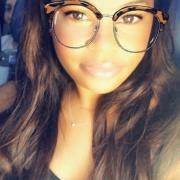 Tip: Can't think of a thing...everything was perfect. The staff was amazing! We had a great time! We will definitely be back again! We loved that the pool was heated. The kids were able to enjoy the pool even though it was a little cold out. Everything was great the people the hotel but my daughter got bit up bed bugs maybe? Other than that it was a good stay! The restaurants there were god very expensive though but it was good my kids loved it there! 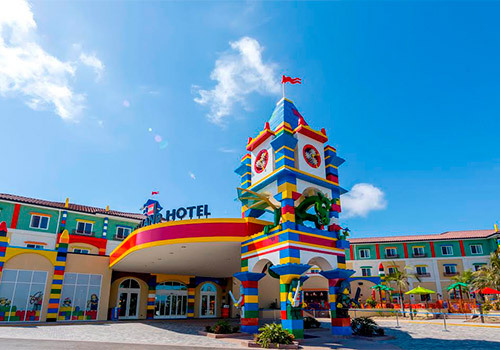 We stayed at the LegoLand Hotel with our 5 year old son and his friend. Our room was desert adventure themed. LEGO’s were supplied. More LEGO’s were hidden in a treasure that required the kids to answer questions to get the code. There was a castle play area in the lobby that they loved. And there were nightly shows. The them park was behind the hotel. Rides were kid sized and not too frightening. They loved the life sized LEGO statues as well. They loved the elevator. There was a disco ball and dance music for every ride. The Sea Life area fun and educational. Restaurants were decent with good options for kids, but a bit overpriced. Kids are free at the pizza place only AFTER 5PM. However, the breakfast buffet was excellent. Surprisingly (and thankfully), they had bars fir the adults! Our check in went fabulous but we went to supper and my son had a birthday and was told he was going to get cake so he expected it. Unfortunately he didn’t receive anything after two times asking the staff about it. Then the kids went to play in the pool but ended up leaving due to a movie playing and not being able to cross a specific line. The park was neat and the kids thought it was awesome to see but the lines were like 60 min waits everywhere. For the price you pay for the room and the park tickets one night could be an entire 4 day weekend elsewhere. 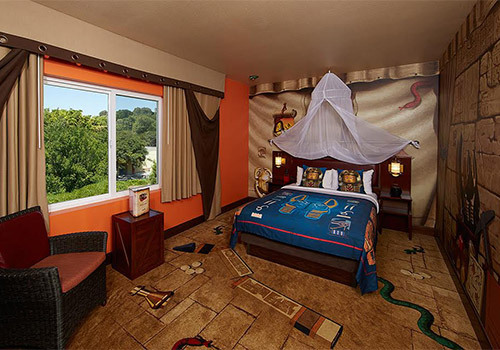 What amenities does LEGOLAND® California Hotel offer? Any cancellations made by the listed cancellation date will receive a FULL REFUND with absolutely NO CANCELLATION FEES. Any hotel reservations past the cancellation date cannot be changed or canceled. Guests may check-in starting at 4:00 pm. 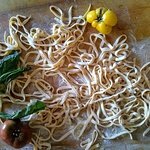 Check-out ends at 11:00 am. If your room is occupied past 11:00 am on your day of departure, an additional charge will be applied to your credit card. Yes. The hotel offers both valet and self-parking. The self-parking fees are included in the $25 nightly resort fee. Valet parking is available for $20. 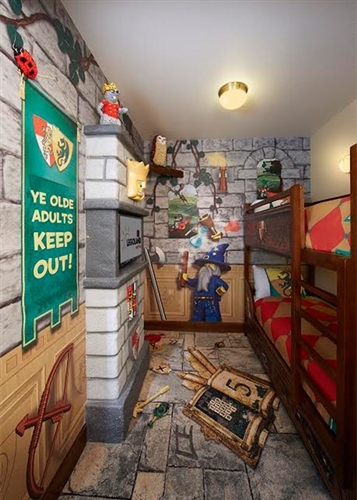 Pets are not allowed at LEGOLAND® California Hotel. Service animals are allowed on the property. 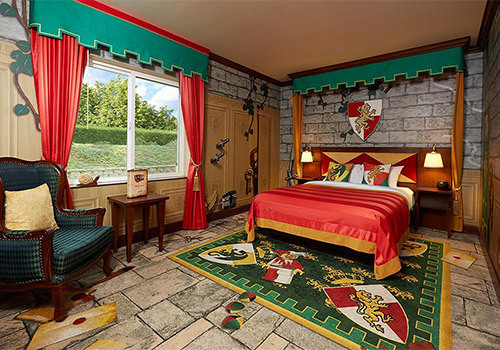 What LEGO® themed rooms are available? 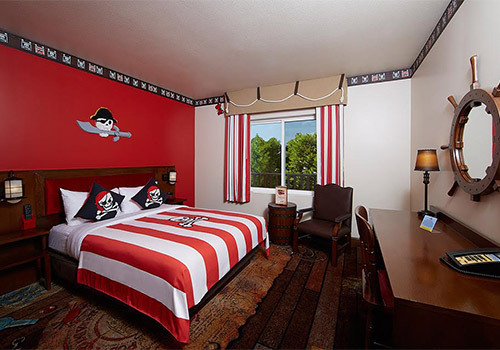 The hotel boasts three (3) themes — Kingdom (1st floor), Pirate (2nd floor), and Adventure (3rd floor). 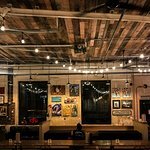 Dining at Bricks Breakfast Buffet is included in all reservations. No. The hotel does not offer additional beds. However, Pack 'N Plays are available on a first come, first serve basis. The pool is open daily from 9:00 am to 7:00 pm.